Sleep apnea is a condition that affects millions of people across the country. Marked by more than just simple snoring, a person who suffers from sleep apnea finds their breathing severely disrupted, often choking or gasping, while they slumber due to the collapse of their airways. These disruptions, resulting in often dangerously low blood oxygen levels, can cause them to jolt awake and even suffer potential long-term health complications. Much of the population mistakenly either decides to suffer through this in silence or is unaware of the problem despite the health dangers. But there’s one demographic that shouldn’t underestimate the ramifications of obstructive sleep apnea (OSA), and that’s the nation’s commercial truck drivers. Stephen D. Ochs, M.D., chief medical director of Sleep Apnea Surgicure, understands what happens to a person’s alertness levels when sleep apnea prohibits them from getting a good night’s sleep leading to chronic fatigue. He has expressed concerns about what this could mean for public safety on our nation’s highways. So that citizens all across the country might sleep better and provide fellow travelers with the necessary duty of care, Sleep Apnea Surgicure has put together a series of tips on moving past sleep apnea. •Retrain Your Body- Even slight adjustments to one’s lifestyle can have a big impact on breathing. Something as simple as making oneself lie facedown or on their side rather than on their back can open up airways. Losing weight can similarly improve breathing patterns, as can refraining from such habits as excessive smoking or drinking, all of which could adversely affect breathing capability. •CPAP- The therapy, which stands for continuous positive airway pressure, is the most common treatment provided to sufferers of sleep apnea. Basically, a person places a mask over their nose and mouth that uses the forced passage of air to prevent airways from being obstructed during sleep. However, in order for CPAP to be effective in the both the treatment of OSA and the prevention of progression of OSA associated disorders including hypertension, sudden cardiac death, obesity, depression and chronic fatigue, CPAP MUST be used a minimum of 4 hours each and every night. Repeated studies show that anywhere from 40-60% of CPAP users fail to comply with treatment guidelines of nightly and all-night use. Under treatment with CPAP has been shown to be as dangerous to one’s health as no treatment. •Surgery- Many patients can’t or won’t tolerate the continued usage of a CPAP mask and end up actually losing more sleep as a result. For such persons, Sleep Apnea Surgicure offers their proprietary, outpatient surgical procedure known as the Get2REM operation. The operation, which goes by the medical term of Maxillomandibular Advancement (MMA), enlarges the airway by actually moving a person’s jawline forward, preventing the collapse of soft tissues of the airway that occur in effected individuals while sleeping. The Get2REM MMA operation has proven to be both safe and effective in their hands over the past decade. •Take Frequent Breaks- The Federal Motor Carrier Safety Administration estimates that one in three commercial drivers have to cope with sleep apnea. This can lead to exhaustion should it affect sleep patterns. When commercial drivers feel themselves begin to tire while on the road, it’s imperative that regular rest breaks be taken. Drivers can pull over to a safe area and bide their time until they’re able to recuperate fully. •See A Doctor- When a driver can’t account for why they’re so tired while they’re traveling the roads, he or she must make a visit to a sleep specialist a priority. 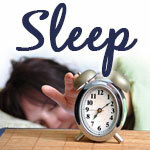 If sleep apnea is detected, it can be treated promptly so that future safety is assured. •Fatigue Detection Technology- Whether drivers suffer from sleep apnea or not, safety is improved when employers and their employees invest in in-cabin technology that can distinguish when a driver is in danger of falling asleep at the wheel. By sending a warning, the system allows for drivers to pull over to the side of the road and get the rest they need to move on. Sleep Apnea Surgicure is a physician-owned healthcare enterprise headquartered in Denver whose mission is to increase awareness among the general public about both the health risks of Obstructive Sleep Apnea (OSA).